Due to manufacture pricing policies we cannot display pricing.
" Only put a few hundred thru. But What a weapon. Simply put they work. " " The Glock 19X is my daily carry pistol. I love both the form, and the function of this handgun. It came with 3 mags, two of which are extended. The new changes to the pistol are a welcome addition to Glocks recipe for success. Don't listen to the naysayers, this is another fantastic entry in the Glock lineup. " 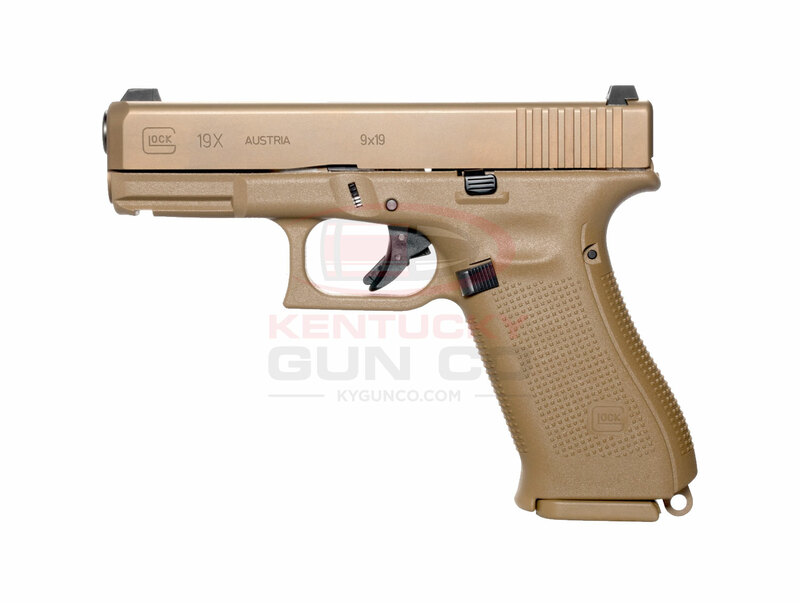 " Purchasing from KY Gun Co is great. They have an extremely large offering of handguns with competitive pricing and an easy-to-use website. "